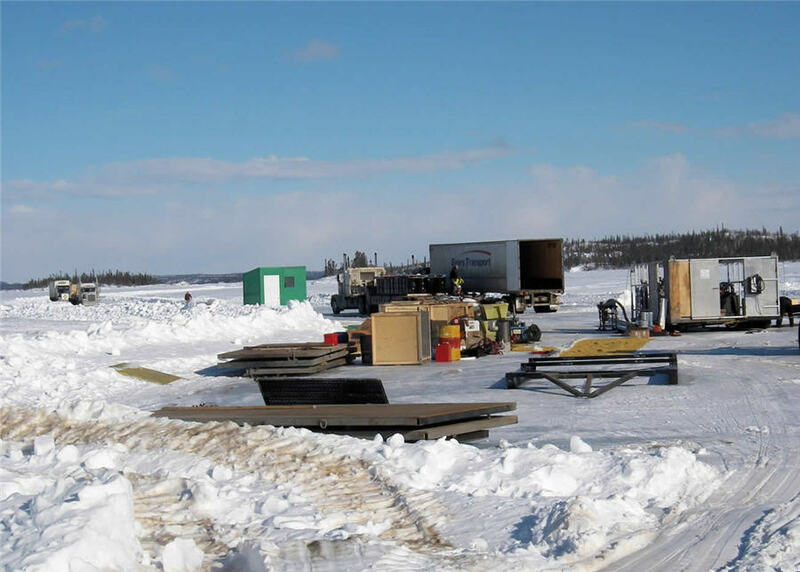 Nighthawk Gold is eagerly awaiting the construction of a 97 km all weather, gravel road from about 40 km south of Behchoko to the community of Whati. The company’s flagship Indin Lake exploration project would benefit from a shortened ice road to the site. The Indin Lake property includes the former Colomac gold mine that produced more than 525,000 oz. of gold in the 1990s. Nighthawk acquired the mine in 2012 and has been actively exploring since then. Besides Colomac, the property hosts the Goldcrest, Grizzly Bear, 24 and 27 deposits. Together they likely have 2.6 million contained oz. of gold in 50.3 million inferred tonnes at 1.64 g/t gold. In October 2018 the responsible government ministers adopted the recommendations of the Mackenzie Valley Environmental Review Board. Construction is to be financed by a public-private partnership, with the federal government providing 25% of the funds. Nighthawk estimates that the required permits will be received by early fall next year in preparation for a two-year construction period.